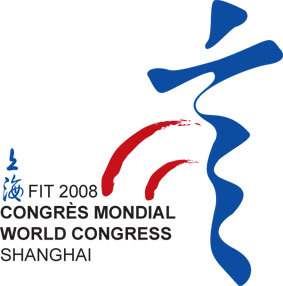 During the closing ceremony of the "2006 China International Forum on the Translation Industry" held in Shanghai on May 29, 2006, FIT Secretary General Sheryl Hinkkanen and TAC President Liu Xiliang unveiled the logo for the 2008 FIT World Congress, selected from 56 collected design works. This concluded half a year's search for the Congress logo. The main part of the logo comes from the Chinese character "言", meaning ‘language'. The character is transfigured so that it resembles of the profile of a person. 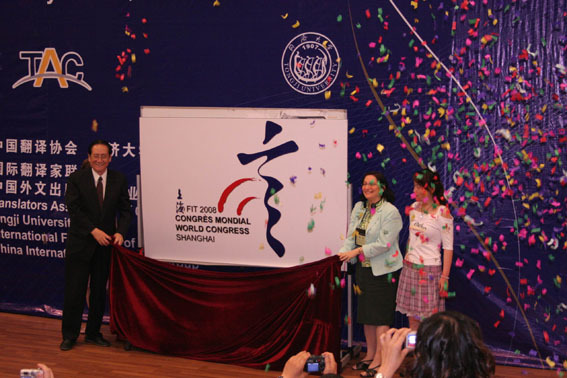 The two flying rainbows which look like sound waves symbolize the importance of translation in disseminating knowledge and culture throughout the world, hence echoing the Congress theme. The logo was jointly designed by Liu Yan and Jin Xiang, two young professional designers in Beijing.